Three fascinating stone buildings, a barn, a stable, a large swimming pool and a plot of land of 5 hectares. 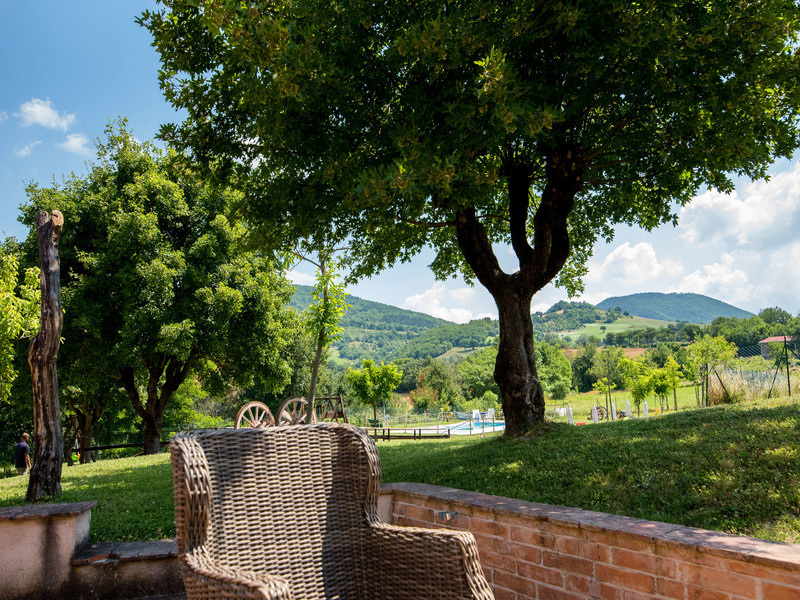 Farmhouse Sentinum is a beautiful and refined real estate located in a panoramic position. In the third building, there is an apartment: bedroom with bathroom, kitchen, sitting room and private terrace with veranda. The surrounding space Farmhouse Sentinum is immense, the location looks over the mounts Strega and Catria and Sassoferrato, a beautiful historical village, where you can visit the famous fortress of Cardinal Albornoz, and a particular Castle with an art gallery that hosts several national events. 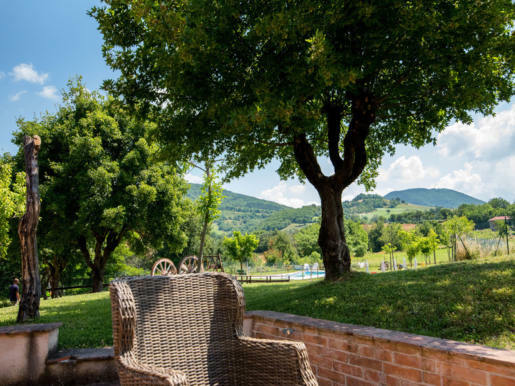 Five beautiful hectares of land surround the Farmhouse Sentinum, located averagely 4.5 km far from the old town of Sassoferrato and its beautiful restaurants and pizzeria, supermarket, pharmacies, hospital and emergency room, bakeries and cafes. The real estate Farmhouse Sentinum is sold exclusively by the real estate agency Marche Country Homes.